In painting, pointillism uses tiny dots of various pure colors, which the viewer’s eye blends into a picture when he stands far enough away. Up close, they’re just dots. 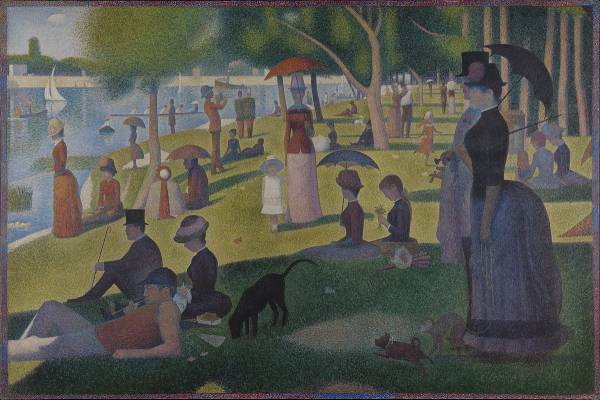 Think Georges Seurat’s A Sunday Afternoon on the Island of La Grande Jatte. 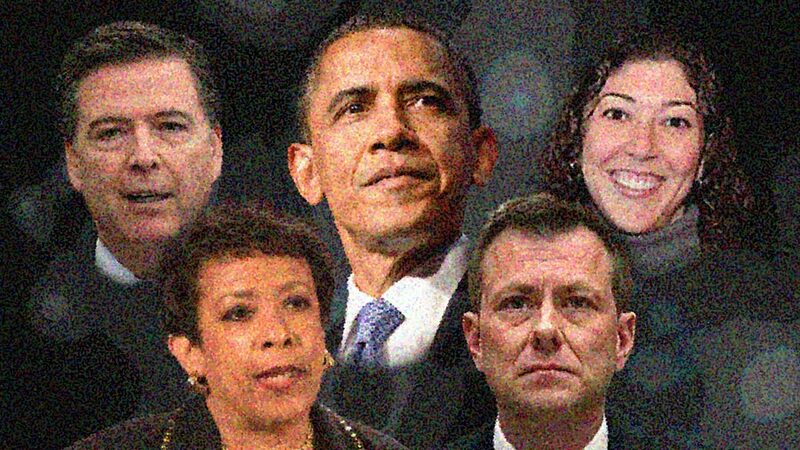 We are witnessing something similar in the scandal surrounding the actions of the FBI/DOJ/Obama White House during and after the 2016 election. Countless tiny dots of pure facts that form a clear picture. A clear picture of an unprecedented criminal abuse of power. Unfortunately most faces remain plastered to the canvas. We only see the individual dots. Recent days have seen several dots. Let’s look at just a couple. And step back to see the picture. Dot: According to newly released testimony from former FBI lawyer Lisa Page, Loretta Lynch’s Department of Justice told the FBI flat out they were never going to charge Hillary Clinton. They cited a lack of “malign intent” on her part to harm national security. 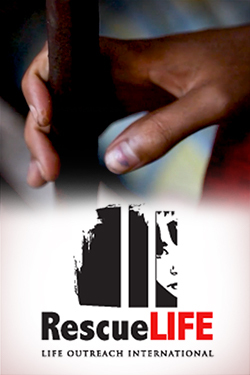 Taking a Step Back: The statute does not require intent for a crime to be committed. As Andrew McCarthy said, the FBI “rewrote the statute.” Where did this idea come from? President Obama spoke of Hillary’s lack of intention in an interview with Fox News in April 2016. On May 5, 2016, the Washington Post, citing sources involved in the “Mid-Year” case, said investigators had not found intention on the part of Clinton. So why is that date important? Earlier that day, Lisa Page had been in a high-level meeting at the White House. Why was she there? Hillary emails. She had arranged the meeting the day before, when it became certain Donald Trump would be the nominee. Page texted boyfriend/agent Peter Strzok that with Trump sewing up the nomination, they would be under tremendous pressure to wrap up the Clinton investigation. And within 24 hours, and the same day she’s meeting on the matter with the White House, the Post is leaked the story that investigators are likely to clear Hillary. A Further Step Back: Hillary used her unsecured system while in China. We know from the Intelligence Community Inspector General that China had had unfettered, real-time access to Hillary’s private server. He warned the FBI in 2015, but Strzok ignored the warning. In related news, NBC News reported “Clinton Emails Held Indirect References to Undercover CIA Officers.” During Hillary’s last two years as Secretary of State, CIA assets in China began being killed or imprisoned. At least a dozen were murdered. How much did Hillary’s gross negligence — I mean, “extreme carelessness” — contribute to those murders? Comey’s exoneration of Hillary went out of its way to downplay the impact of Clinton’s actions. Dot: Page pushed back against the idea the FBI was controlling the Hillary investigation. The Obama DOJ was in charge every step of the way. Taking a Step Back: Loretta Lynch said in June 2016 after her tarmac meeting with Bill Clinton that she would let the FBI take the lead on whether to charge Hillary. Page heard that and texted Strzok that it was hardly a brave thing to do since it had already been decided Hillary wasn’t going to be charged. Dot: In newly released testimony, the FBI’s top lawyer at the time, James Baker, said that he fought tooth and nail to see Hillary charged with “gross negligence.” DOJ would not budge. Taking a Step Back: James Comey said no reasonable prosecutor would have brought charges. Baker is telling you Comey was lying his two faces off. Page testified that Obama’s DOJ was saying “gross negligence” was “too vague.” The FBI’s top lawyer is telling you the Obama DOJ was full of it. Dot: Peter Strzok testified that the DOJ made an agreement (one of many unusual agreements) with Hillary’s lawyers to leave any Clinton Foundation emails out of any investigation of Hillary’s emails. Taking a Step Back: Hillary’s work as Secretary of State and the Clinton Foundation were deeply entangled. Forget that her top aide Huma Abiden also worked for the Foundation, thanks to a special exemption, and arranged special favors. The Associated Press reported in 2016 there was an overwhelming overlap of Foundation donors and those who got to meet with the Secretary of State. Further, former Deputy FBI Director Andrew McCabe in both his leak to the Wall Street Journal and in testimony to the DOJ Inspector General, claimed Loretta Lynch had blocked a field office’s investigation of the Clinton Foundation. The FBI knew from its earlier investigation of Russian efforts to bribe and blackmail its way into getting U.S. uranium that the Russians boasted about owning the Clintons. The Uranium One case involved a host of Russia-connected donors contributing to the Clinton Foundation as Hillary was set to give the Uranium One deal a thumbs up or thumbs down. So in looking at Hillary’s activities on a non-government server system how do you justify not examining Clinton Foundation emails? Dot: The FBI and Adam Schiff continue insisting the investigation of Trump began when George Papadopoulos, a low-level campaign aide, told an Australian diplomat that Russia had dirt on Hillary. Take a Step Back: So something one young aide said he had heard from a guy who heard from a guy ignites a counter-intelligence effort against the Trump campaign. However, Clinton’s Foundation raking in millions from Russians while she’s making decisions affecting national security, when Bill Clinton is getting twice his normal speaking fee from a Russian bank handling the Uranium One deal, when the FBI has Russians on tape bragging about owning the Clintons, and when Clinton associates like Sidney Blumenthal were collecting Russian dirt on Trump, doesn’t ignite a thing? Dot: Documents released Tuesday show Robert Mueller focused in on Trump lawyer Michael Cohen within a couple months of starting the special counsel investigation. Take a Step Back: The only thing Cohen had to do with Russia was the false allegation in the Steele report that he had gone to Prague to arrange the Trump-Russia “collusion.” Also, consider the double standard. Hillary’s lawyers? Get whatever they want. Donald Trump’s lawyer? Gets a bunch of agents invading his home in the pre-dawn hours. Dot: Rep. Mark Meadows tells Fox News, the release of documents will show the involvement of foreign ambassadors in the scheme against Donald Trump. Take a Step Back: Remember Papadopoulos’ Australian diplomat? That’s Alexander Downer. Before getting the London gig, Downer was Australia’s foreign minister. While in that position, Downer arranged for Australia to pledge $400 million to the Clinton Global Initiative to fight AIDS in Asia. Thing is, the Global Initiative didn’t actually fight AIDS. It claimed to financially support organizations that did. Why would the government of Australia need CBI’s help getting money to organizations fighting AIDS? They’re Australia! Only one reason. To that end, soon after Hillary lost the election, Australia canceled the pledge. Speaking of Downer, what’s some big time Aussie diplomat doing boozing with Papadopoulos in the first place? The drinks were arranged by Maltese academic Joseph Misfud, who promptly disappeared once his role in this was made public. In fact, it was Misfud who told young George about the Russian dirt. Though the media tries painting him as a Russian asset, there’s ample evidence he was actually a Western asset. He even claimed at one point to be tight with the Clinton Foundation. He certainly hung out in London’s diplomatic circles. Also in the circle of characters befriending both Papadapoulos and Carter Page was Stefan Halper. Halper was inserted into the Trump campaign as part of the “Crossfire Hurricane” investigation into Trump. In fact, Halper received a $411,575 contract from the Obama Department of Defense just three days after Yahoo News! published the first story about Carter Page. But the “astronomically outrageous” contract was just a cover for his work against the Trump campaign, says a lawyer for the Pentagon analyst who questioned the contract … and soon was stripped of his security clearance for his trouble. Dot: Peter Strzok said in his newly released testimony that he used the Steele-fueled story as an excuse to bring a counter-intelligence investigation against Page and the Trump campaign. Christopher Steele, of course, was an MI6 agent. DCNF’s Chuck Ross reported Halper’s close ties to MI6 and the CIA. Take a Step Back: Funny thing. Halper and Downer hang out together. Funny thing. Halper convinced Page to go to a conference in London, a conference also attended by Steele. A conference where, according to Page, former Secretary of State Madeleine Albright kept trying to get him to speak. In other words, according to Mark Steyn, she was trying to get Page to create a bigger profile for himself as a Trump adviser. Are you seeing the picture yet from just this one dot? Misfud tells young George the Ruskies have dirt on Hillary. Then hooks George up with Downer. A few drinks, a bit of Russia talk and George repeats what Milfud told him. Downer tells Aussie intelligence. Aussies, on cue, call U.S. intelligence. In the “Destroy Trump Translator” this becomes “Trump campaign knew about Russians hacking into DNC computers,” and a cover for spying on the Trump campaign was born. Except, of course, the presence of Misfud, Downer and Halper in the story shows us the hunt for Trump was already on. We’ve only put eight new dots of paint on the canvas and look how far we’ve gone. But the month has seen many more dots. Will you return to the gallery next time?